We understand when you have a home repair or remodel project, you want to hire a company who can get the job done on time and on budget. Having a local company you can trust is what the reviews below highlight. Thank you for choosing us to be your first choice for your home remodel or repair project in Tacoma, and the Puget Sound. 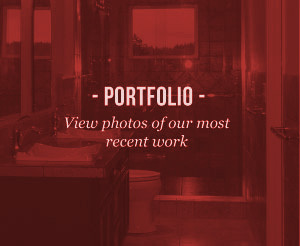 Our reviews below feature our work on kitchens, bathrooms and whole home remodels. We are proud to present the following experiences for your review! For the Home Owner, Rental or Business Owners, True North Homes & Renovations LLC is equipped and ready to do the projects you have planned. Craftsmanship is Our Standard and we set the bar high.. We appreciate our Past Clients for all the great projects and the friendships that have developed is the “icing on the cake”. We look forward to meeting many more of you and we’d be honored to do your projects. John & Cathy of True North set the standard for quality craftsmanship. Their work ethic and dependability challenge all who work around them. They are there till the job is done. John and Cathy - You've turned this place into our home. We are so grateful for you - your work and expertise, certainly, but also for your friendship, integrity, and commitment to quality. Thanks for the lovely card and beautiful flowers. We have a gift for you which we meant to get to you before we left so we trust we'll see you again soon. Besides, you probably want more money! We had a profound trip to Israel - exhausting but very good. We especially enjoyed our 2 days in Paris before flying home this afternoon. But the capstone was walking into our new home. We love every detail - the counters and tile, the tin front to the island (fantastic installation) -- thanks, thanks, thanks. 7:30 here means 4:30 in the morning Paris time so I'm off to bed. Let's visit soon. We have used True North Homes' services many times over the past two years on occasion for several different jobs such as electrical, plumbing, carpentry, kitchen and bathroom remodeling and have always been completely satisfied. One of our recent projects was the remodel of the master bathroom. We also enjoyed the working relationship we had with Cathy and John. When they work together the process and the product really turn out well. They absolutely do outstanding work at a very reasonable price. They are very pleasant, generous people who are never afraid to take on a challenging task. We are happy to recommend the services of True North Homes. Thank you so much for providing such a great service. John and I can't thank you enough for the wonderful work you did on our shower replacement. That old 2-piece shower enclosure was so badly installed and so cramped. The beautiful tile shower you installed doesn't extend much beyond the old shower but it feels like there is half again as much room. The tile is so much classier than plastic and is much easier to keep clean. Everyone who has seen it has remarked on what a marvelous job you did and the excellent workmanship. We are pleased as can be! We couldn't be happier with the bathroom remodel, it looks wonderful! Your experienced advice, quality workmanship and attention to detail facilitated the project from planning stage to completion. We would have no hesitation recommending True North to others seeking an excellent, honest and trustworthy contractor for a remodel. Thank you for all the great work. It was so thoughtful of you to buy the beautiful red floral arrangement, we love it. I have it sitting by my kitchen window by the bells. Thank you so very much! We so enjoyed all your time with us, your visits and your fine work. We do love it & so does everyone who comes to visit. Thank you and please keep in touch. Maybe we can go to dinner sometime soon. Thanks, much love. "Only the warmest of thanks will do for people as special as all of you!" Thank you both so much for all you have and are doing for us. You both are TOO kind. Thanks again! Hi John...great work on the sink, faucet, and plumbing. Rita loved it. Thanks again. I am so happy with the work that John and Cathy did in my house. They went above and beyond the call of duty. They do quality work, never leaving any screws unturned. It's rare to be able to trust your contractors as much as you can trust them. They are also two of the nicest people you will ever meet!! Definitely recommending them to everyone I know!! We have had the opportunity to feature True North Homes & Renovations in our magazine on numerous occasions. Our subscriber base requires us to present well respected companies in Pierce and King County. After learning about the quality of work John and Cathy offer when it comes to home repairs and remodels, we knew they would be a perfect fit for our thousands of fans in the community. Seeing their work first hand, hearing their clients lavish reviews in person, and knowing the True North team has made the decision easy to feature them in our magazine, The Real Estate Book of Tacoma Pierce County. We HIGHLY recommend True North Homes to anyone in the Puget Sound looking for quality work at a fair price. The home remodel projects they have done in Tacoma are amazing, we especially like the wine cellars. We decided to go with the recommendation to True North Homes and Renovations. They are FABULOUS!!! Reasonable prices. Excellent work done. Very conscientious. Very honorable. I've had them paint the exterior of my Mom's house, the exterior of my house and probably half of the interior. Attached is a pic of my Mom's house which is getting ready for sale in downtown Puyallup. John and Cathy did a fantastic job painting the entire interior of our new home! It was a tall order: a 2200 sq foot house in just 9 days, including ceilings. They were pulling up the floor tarps as we carried our boxes into the house on move-in day, but they got it done! The paint job is beautiful down to the last detail. Not only that, but they found things wrong with our house that we didn't know about that would have cost us untold thousands if it hadn't been caught early. The price for the work was very fair and reasonable, and we count ourselves as very fortunate to have had their help.